Earl Eugene (Gene) Mumford, age 75, Old West Creek Road, Emporium, passed away Wednesday, November 25th, at UPMC Presbyterian Hospital, Pittsburgh, Pennsylvania, following complications from a stroke. Gene was born August 6th, 1940, in St. Marys, Pennsylvania, son of Eugene and Marie Towner Mumford. He was a lifelong resident of Emporium and a 1958 graduate of Cameron County High School. He was a veteran of the U.S. Navy, member of the Seabees. He was a skilled carpenter, retiring from the Pennsylvania Bureau of State Parks in 2005. Gene loved woodworking, hunting, and the outdoors, and he was an avid Philadelphia Eagles fan. He is survived by his daughter, Dr. Marsha Haley, of Seven Fields, Pennsylvania, who was by his side; a granddaughter, Lauren Elizabeth Haley; two sisters, Linda McAulay of Emporium, and Dianne Flanders of DuBois. He was preceded in death by his parents & son, Steven Eugene, in 1986. Visitation with Video Tribute will be at the Barnett Funeral Home on Tuesday from 4-6 PM. Funeral Service will be held at the Barnett Funeral Home, 207 East Fourth Street, Emporium, PA on Wednesday (December 2, 2015) at 11:00 AM with Rev. Joseph Short, Pastor, First United Methodist Church, officiating. Arrangements are under the direction of Barnett Funeral Home. 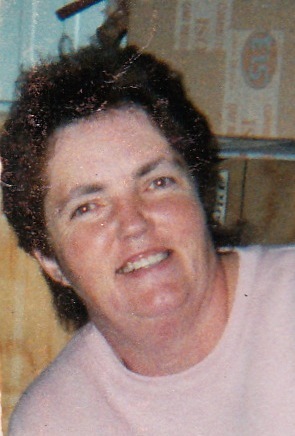 Mary L. Miglicio, 80, of 205 Pine St., Emporium, PA died at Penn Highlands DuBois, DuBois, PA on Friday (November 20, 2015) night. On October 19, 1963 in St. Marks Catholic Church she married the late Anthony "Junior" Miglicio. Mrs. Miglicio worked for over 30 years at Olivett's Grocery Store and she enjoyed going to casino's. 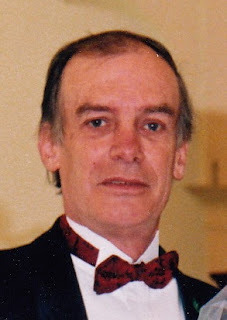 Michael J. Raffaele, 67, of 1192 Rich Valley Rd., Emporium, PA died in Emporium, PA on Friday (November 20, 2015) morning. He was born August 26, 1948 a son of the late Joseph Raffaele and Joseph & Donna Moffitt Noto. On June 30, 1984 in Emporium he married Janet Schloder, who survives. Mike graduated from Cameron County High School. He retired from GKN where he worked for many years. He enjoyed hunting and fishing. Ronald John Schloder, 67, formerly of St. Marys, died Friday, Oct. 23, 2015 at the VA Medical Center in Pittsburgh after several weeks in the ICU. He was born July 5, 1948 in St. Marys, a son of the late Lavern L. Schloder Jr. and Kathryn I. DeCarli Schloder. On Feb. 14, 1995 at Pinecrest Manor Chapel, he married Rose McManigle Neff Schloder, who survives. Ron graduated from SMAHS, class of 1966 and then fought for our country in the Vietnam War as a First Force Recon Marine. He graduated from Penn State University in 1996 and retired as the senior engineer of GE Transportation Systems in Emporium. He was an avid hunter and fisherman. He was a talented woodcarver who also enjoyed gardening. Most of all, he enjoyed spending time with his grandchildren and his love will live on in our hearts forever. In addition to his wife, Rose Schloder, he is survived by a daughter, Jennifer (Neff) Ott and her husband Martin; and by two grandchildren, Bryanna and Ethan Ott. He is also survived by a brother, Ken (Denise) Schloder of Idaho; four sisters, Kathi (Steve) Kazimer of South Carolina, Mary Ellen (Joe) Jones of Ohio, Jan (Mike) Raffaele of Emporium and Nona (Greg, Sr.) Morgan of St. Marys; and numerous nieces and nephews, including one special nephew, Ed Badeau Jr. In addition to his parents, he was preceded in death by a brother, Gary Schloder; a sister in infancy, Jean Marie; and a daughter in infancy, Annie Schloder. A Memorial Mass of Christian Burial for Ronald John Schloder will be celebrated on Tuesday, Nov. 17 at 5 p.m. at St. Boniface Church, Main Street, Kersey, with Rev. Ross Miceli, pastor, officiating. Military honors will be accorded by the Fox Township Burial Detail. Memorial contributions may be made to St. Boniface Catholic School or to the Fox Township Legion. Lynch-Green Funeral Home, 151 N. Michael St., St. Marys, is handling the arrangements and online condolences may be offered at www.LynchGreenFuneralHome.com. Jacqueline E. “Jackie” Rusnak, age 81, of West Fifth Street, Emporium and Arcadia, Florida died Wednesday, November 4, 2015, in Fawcett Memorial Hospital, Port Charlotte, Florida. Born March 22, 1934 in Chipman, New Brunswick, Canada, she was the daughter of the late Hanson and Leota Johnson Clarke. On November 12, 1977 in Windburne, Pa. she married James B. Rusnak who survives. the CD of A in Philipsburg. Survivors include: 3 sons, Glen Fraser in Maryland, Jerry (Cathy) Fraser of Philipsburg, and David (Sharon) Fraser of Driftwood; one daughter, Vicki (Charles) Nocek of Lehighton; twelve grandchildren; six great grandchildren; two brothers in Canada, Willard (Judy) Clarke and Otis (Judy) Clarke; two sisters also in Canada, Joan Clarke and Donna (George) Thompson; and many nieces and nephews. In addition to her parents, she was predeceased by one brother, Irvin Clarke, at the age of one year. A Mass of Christian Burial will be held at 10 am Tuesday, November 17, 2015 in St. Mark Church with Fr. Paul Siebert, pastor, as celebrant. Burial will follow in St. Mark Cemetery, Emporium. Sharon A. "Sherry" Uber, 61, of 306 Spring St., Emporium, PA died at UPMC-Hamot Medical Center, Erie, PA on Thursday (November 12, 2015) evening. She was born October 5, 1954 in Kane, PA a daughter of the late Stanley and Anna Lilley Arthurs. She married Joseph C. Uber, Sr., of Emporium, who survives. Sherry and her husband Joe spent over 41 years together. She was a loving wife, mother and grandmother. She graduated from Smethport Area High School in the class of 1974. She has worked many years at Motor Coil and was a also a cook for many years at the Moose Club in Emporium. She was a member of the Emporium Volunteer Fire Department Ladies Auxiliary. Sherry enjoyed bingo, Poker, knitting, baking and most of all her grandchildren.! Surviving In addition to her husband Joseph C. Uber, Sr.
Alma M. Lupro, 90, of 50 Grove St., Sinnemahoning, PA died at DuBois Nursing Home, DuBois, PA on Saturday (November 7, 2015) morning. She was born May 24, 1925 in Girty, Armstrong County, PA a daughter of the late Dean and Garnet Rupert Wood. On September 30, 1944 in Rantoole, Illinois she married the late Charles D. Lupro. Mrs. Lupro had worked at Sylvania during World War II and later left work to raise her family. She was a member of the Sinnamahoning Sportsman Club and the May Hollow Sportsman Club and the Sinnamahoning United Methodist Church. Alma was referred to as "Gram" by her friends and family. She enjoyed gardening, hummingbirds and her children & grandchildren. Services will be Private There will be No Visitation.